While we tend to associate arthritis with the elderly, it can occur in younger people as well as those entering the menopausal transition. In fact, a new study suggests that the lower oestrogen levels women experience during menopause could increase the risk for osteoarthritis in their knees. But how exactly does menopause relate to this increased risk? Osteoarthritis is a major cause of disability in westernised countries. It happens as cartilage in the joints wears down and it generally occurs over time, which is why it is more common in older adults. While there is no cure, there are ways to relieve pain. Traditionally, osteoarthritis was associated with deterioration of the joints. Basically, it was seen as 'wear and tear' on a person's joints, often relating to long-term stress on them. However, with this new research it now seems that hormones may play more of a role than we realised. Hormones can influence tissues around the joints and increase the risk of osteoarthritis. Researchers wanted to look at how the declining levels of oestrogen during menopause could contribute to an elevated risk of osteoarthritis. 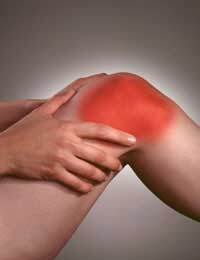 For three years, researchers investigated knee osteoarthritis in women aged twenty-six to fifty-four. Over three quarters of the women were premenopausal when the study commenced while the rest were perimenopausal. Also, no women were undergoing hormone replacement therapy (HRT) when the study began. Over ten% of the women received a diagnosis of knee osteoarthritis before the study started. Researchers checked hormone levels and conducted scans of the knees for each year of the study. They found that the women who developed knee osteoarthritis within the three-year study time span tended to have lower levels of oestrogen when the study began. Those who had higher levels were less likely to go on to develop osteoarthritis. One thing that researchers weren't clear on was whether it was definitely the lower hormone level that contributed as a cause to osteoarthritis or if it was that the lower levels just increased the markers of the disease by increasing pain and inflammation. Another interesting finding was that women who weighed more tended to show more inflammation around their joints. This extra weight is thought to put more pressure on the joints. Not only that, but excess weight can influence your hormone levels too, which could further increase the risk of osteoarthritis. While this new study does shed some light on how the onset of menopause is associated with a higher risk of osteoarthritis, we should still be cautious about how we interpret the results. The higher risk might also be due to ageing and could be coincidentally occurring at a time of declining oestrogen levels. For now though, it's always wise to take healthy lifestyle measures to reduce your risk of osteoarthritis. This means maintaining a healthy weight, partaking in regular exercise and eating a varied, balanced diet. Staying educated on how menopause relates to osteoarthritis can ensure you are up-to-date and can continue to look after yourself.